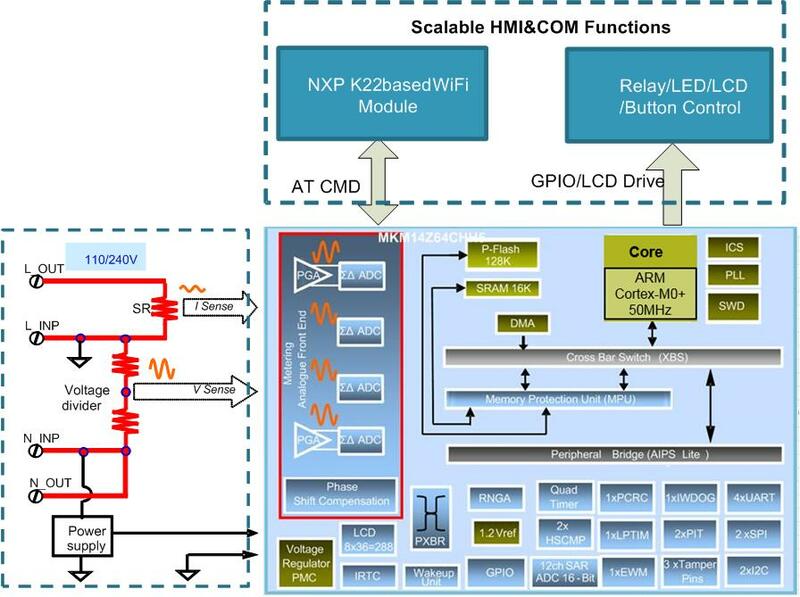 The NXP® 5W multi-coil transmitter platform is designed for automotive wireless charging applications based on the NXP MWCT1003AVLH controller IC. 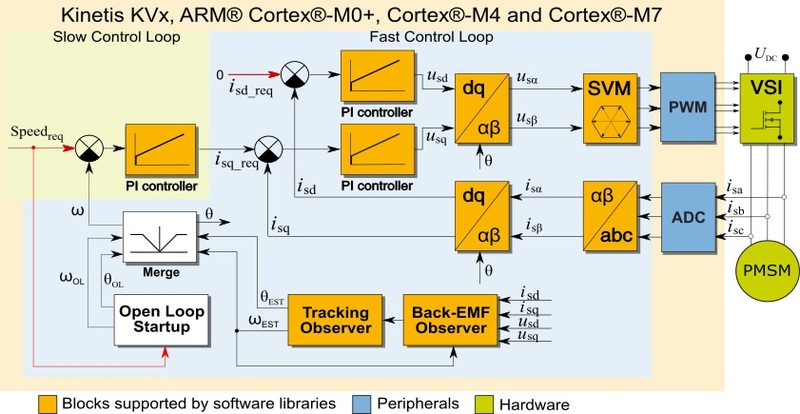 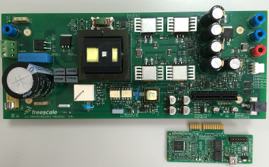 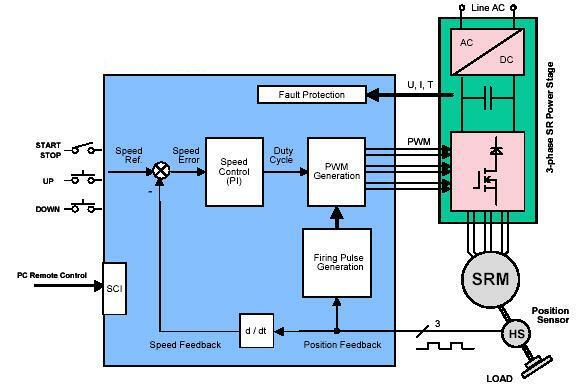 This reference design describes a 3-phase BLDC drive that uses the NXP MC56F8006 Digital Signal Controller (DSC) for dedicated motor control devices. 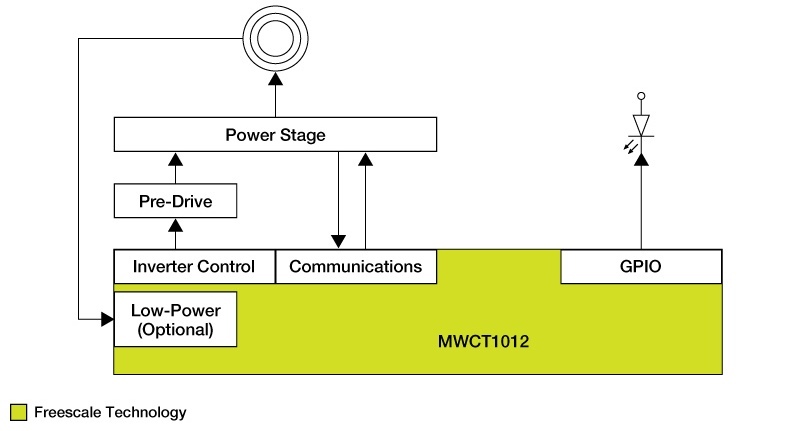 The 15 Watt single-coil fixed frequency wireless charging transmitter reference design uses the WCT10xx transmitter controller IC that integrates all required functions for the Wireless Power Consortium (WPC) Qi-compliant wireless power transmitter design. 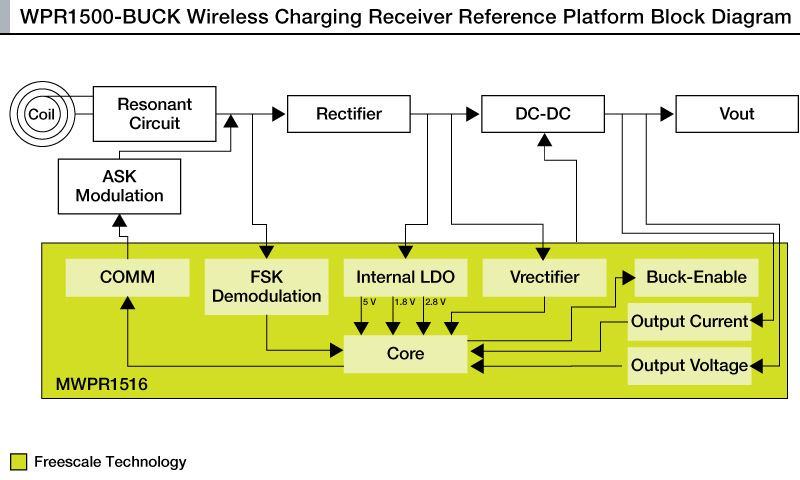 The 15W wireless charging receiver reference design uses the NXP® MWPR1516 receiver controller IC to implement a wireless charging receiver solution. 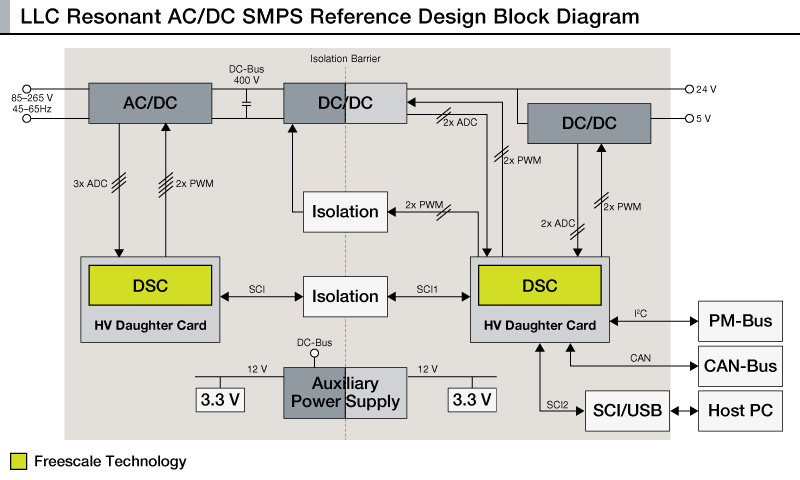 Reference design of a fully digital off-line DC/DC switched-mode power supply (SMPS) using an LLC resonant converter topology and GaN switches. 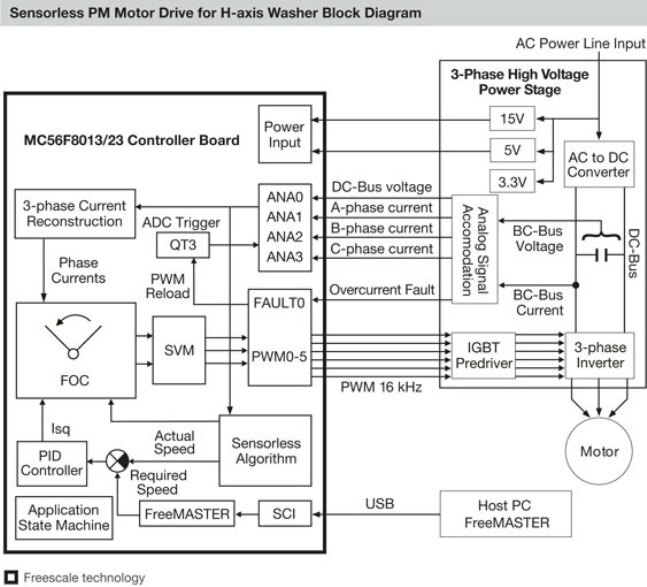 This reference design is based on 32-bit DSC MC56F82748, to demo a BPM Sensorless FOC Washing Machine. 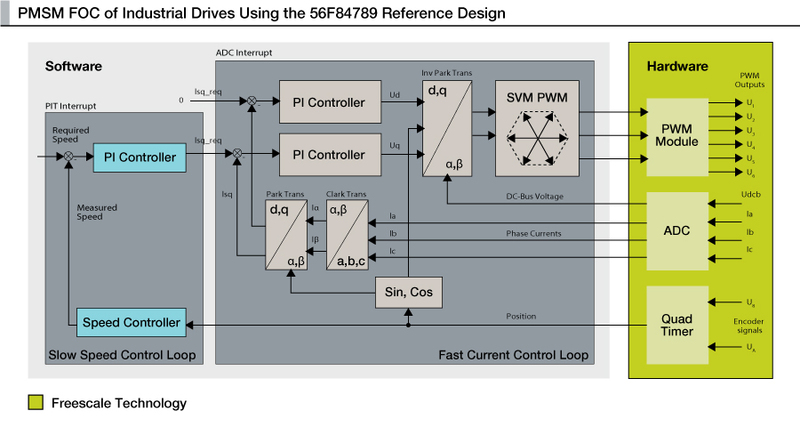 This reference design describes the design of a 3-phase BLDC motor drive, which supports the Freescale 56F80X and 56F83XX DSCs. 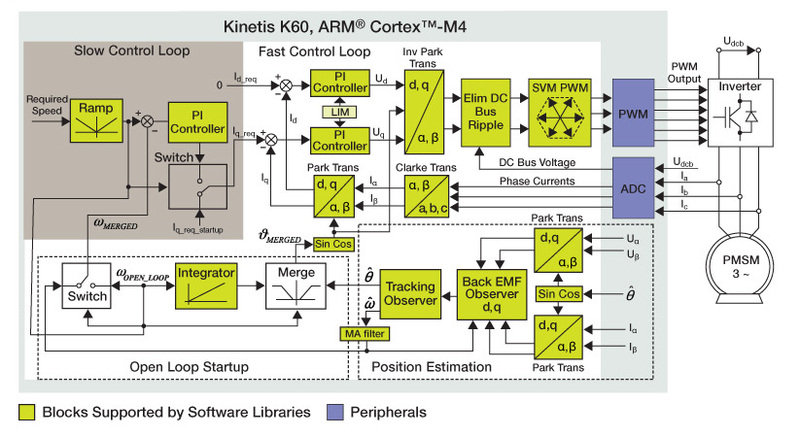 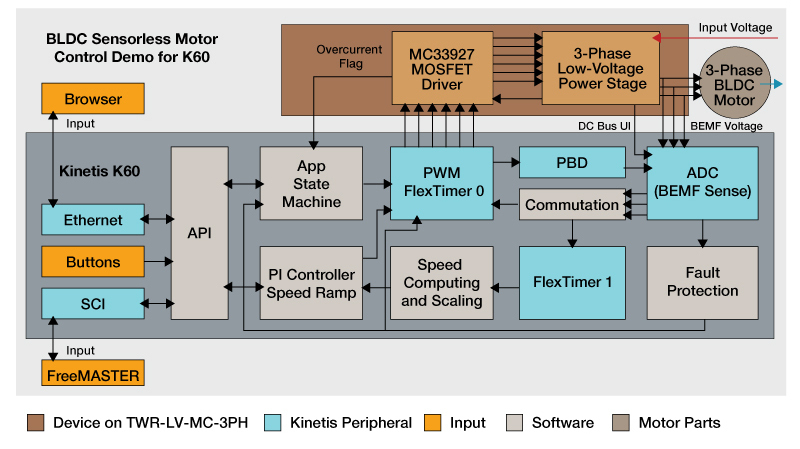 This motor control reference design is based on a NXP Kinetis KEA128 32-bit Arm Cortex-M0+ automotive MCU. 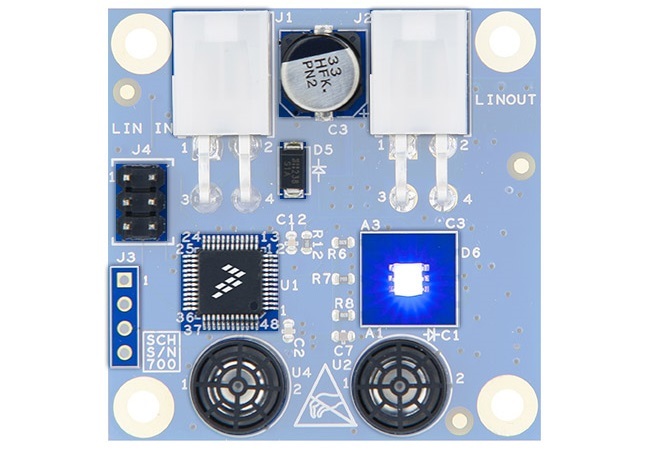 This reference design introduces the Freescale MC9S12ZVL32 device in an RGB LED lighting application, capable of RGB LED control and diagnostics. 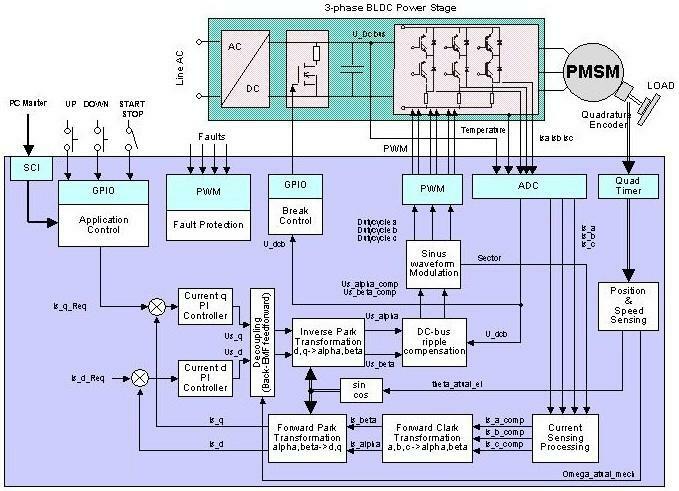 This reference design deals with the average current mode control of Power Factor Correction (PFC) on the Freescale MC56F8013 DSC. 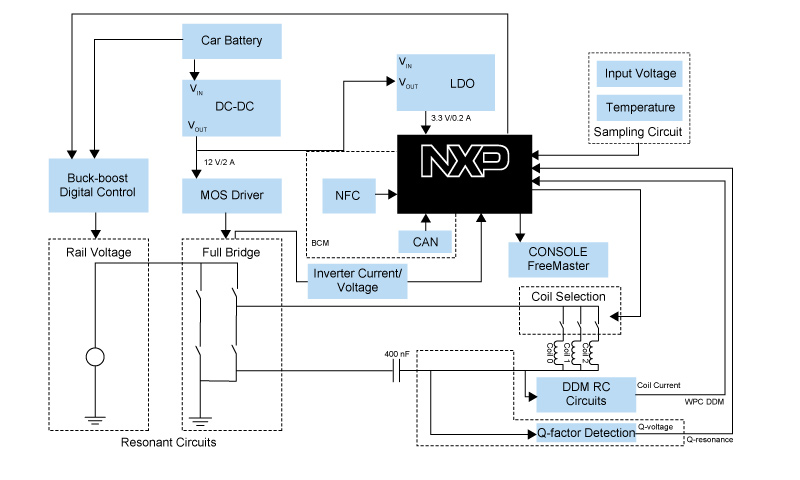 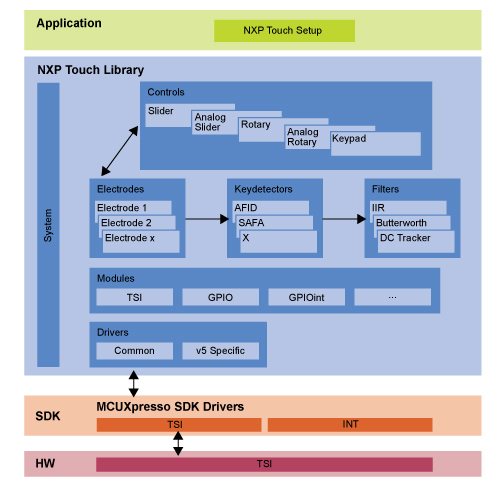 Automotive NFC Door Handle Reference Design using NXP's NCx3320 NFC transceiver IC and the S12ZVL MCU. 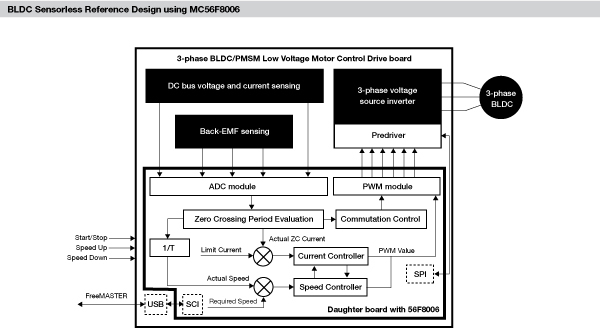 3-Phase Sensorless BLDC Motor Control with Back-EMF Zero Crossing Detection using the Freescale 56F80X or 56F8300 DSCs. 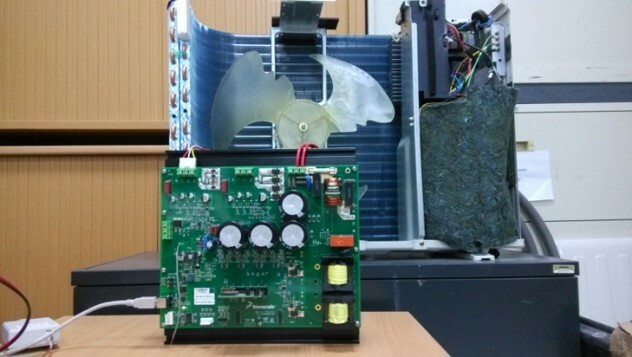 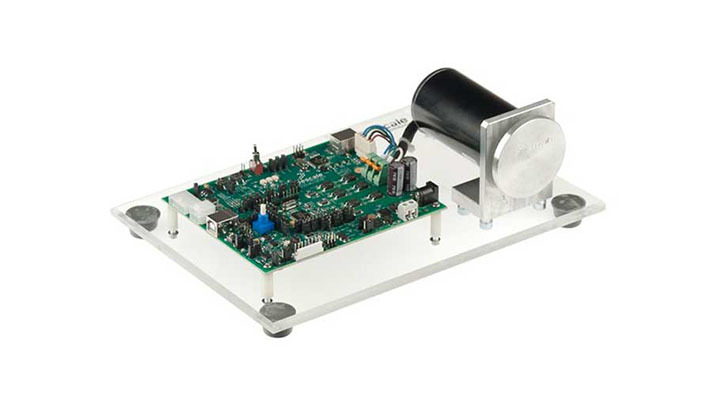 This reference design is based on 32-bit DSC MC56F82748, to demo a Refrigerator Compressor. 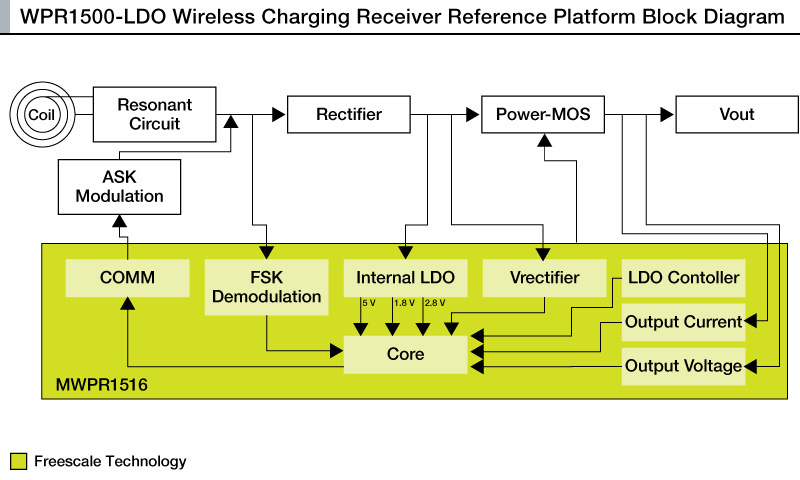 15W wireless charging receiver reference platform with LDO architecture uses Our MWPR1516 IC to to implement a wireless charging receiver solution. 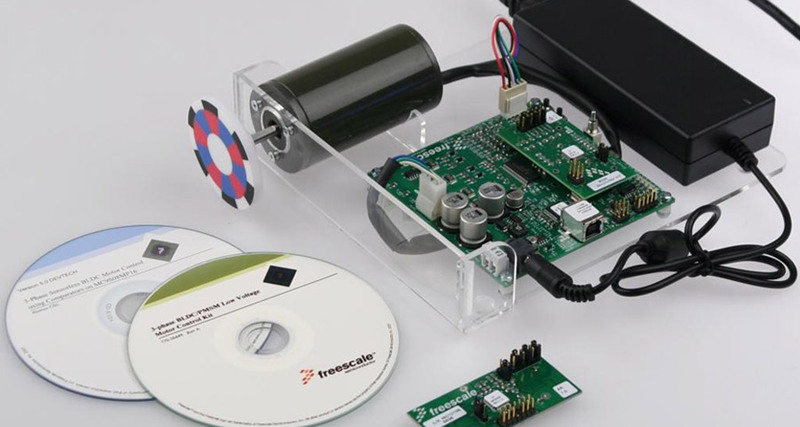 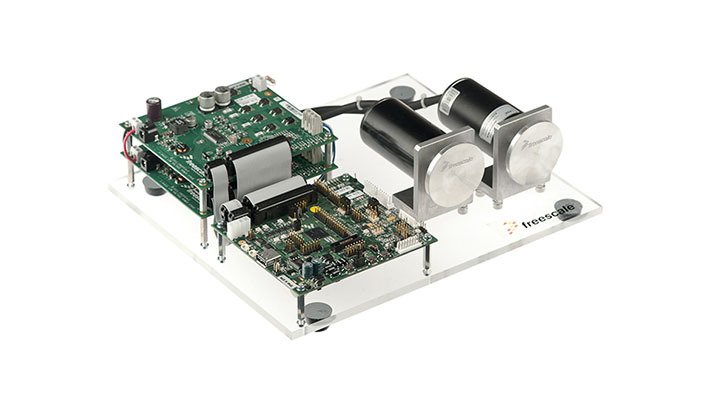 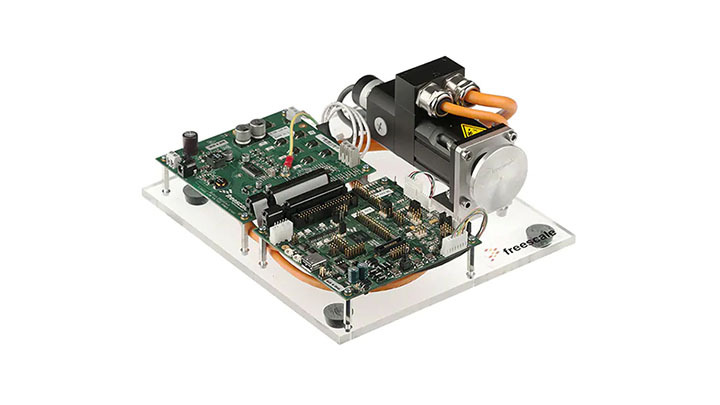 This reference design is a 3-phase brushless DC (BLDC) motor sensorless drive for fans, pumps and compressors based on the low-cost Freescale 56F801x DSCs. 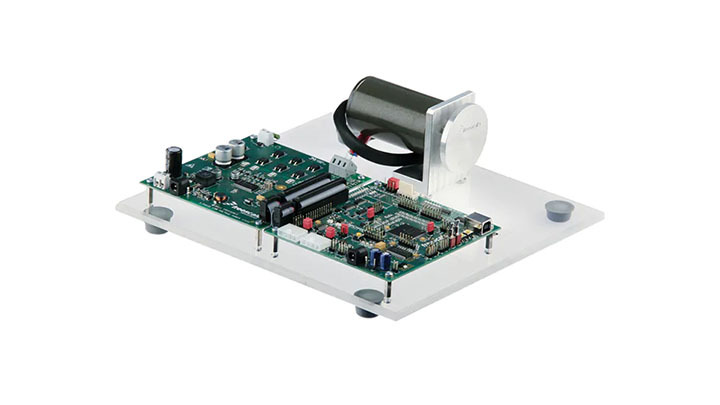 This reference design is based on 32-bit DSC MC56F82748, to demo a LLC Resonant Converter with Sync Rectifier. 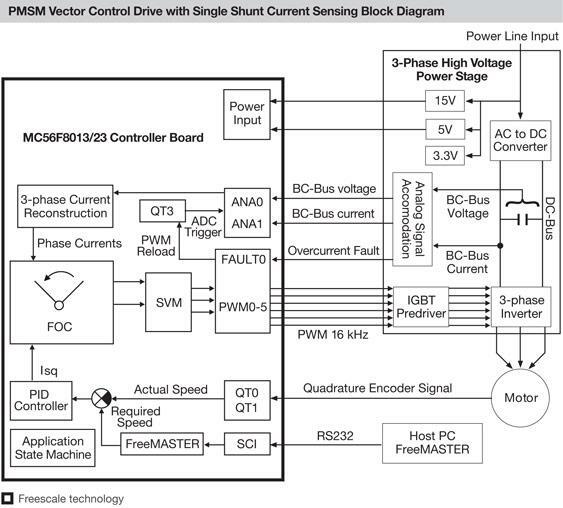 3-Phase BLDC motor control with sensorless back-EMF ADC zero crossing detection using the Freescale 56F80X or 56F8300 DSCs. 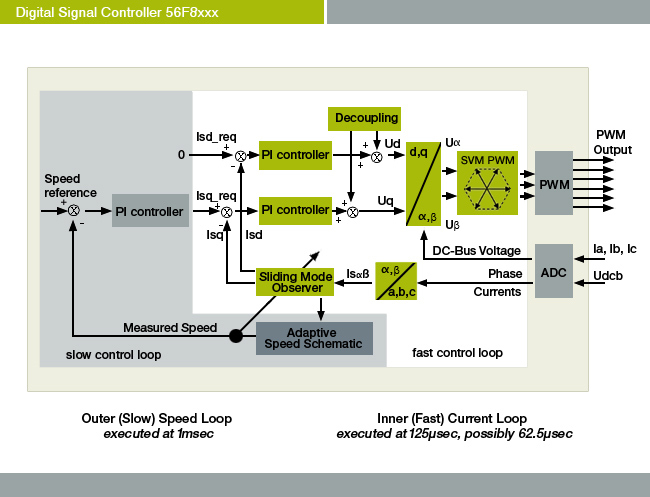 This reference design demonstrates speed control of the 3-Phase SR motor with Hall position sensor using the NXP 56F80x or 56F83XX DSCs. 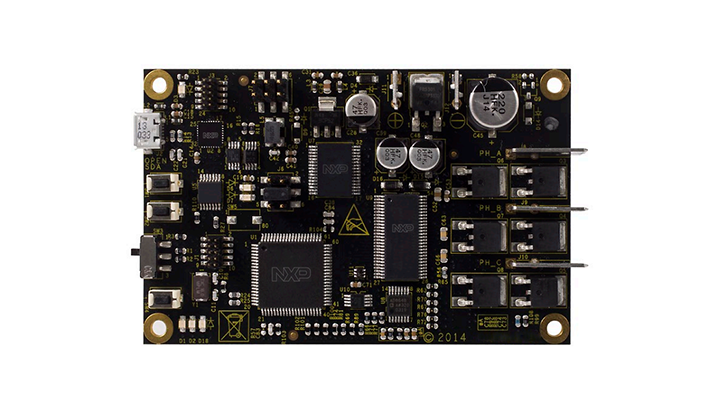 The Sensorless High-Speed SR Motor Control Reference Design based on the NXP low-cost MC56F8013 DSC. 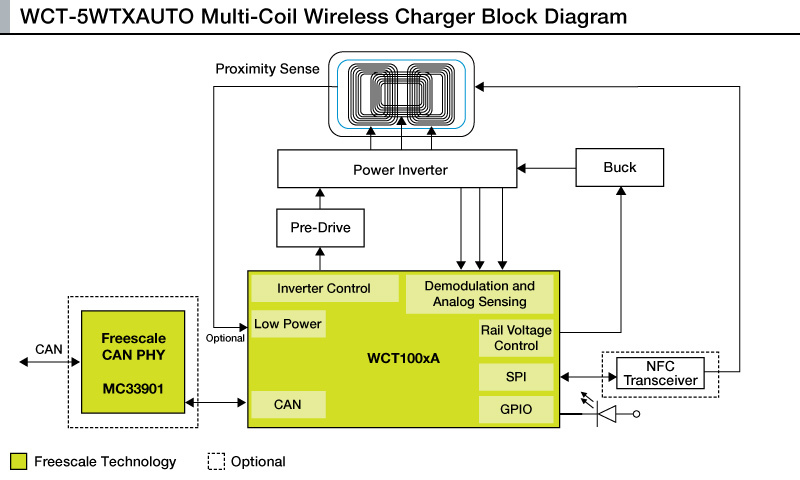 The 15 watt single-coil wireless charging transmitter reference platform, WCT-15W1COILTX, is based on the NXP® MWCT1012CFM transmit controller IC. 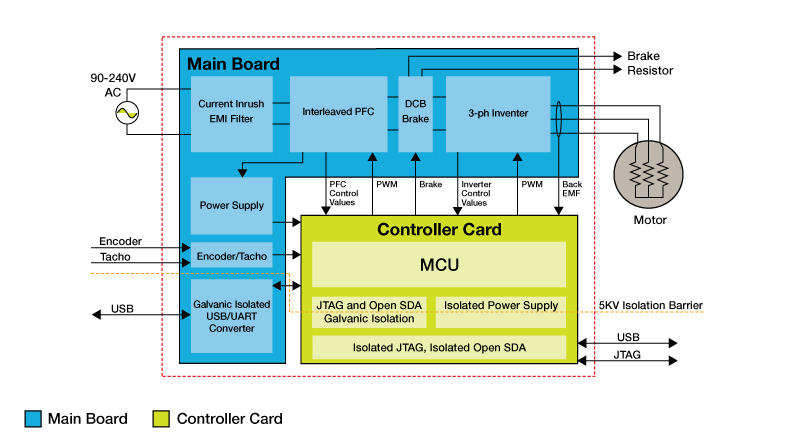 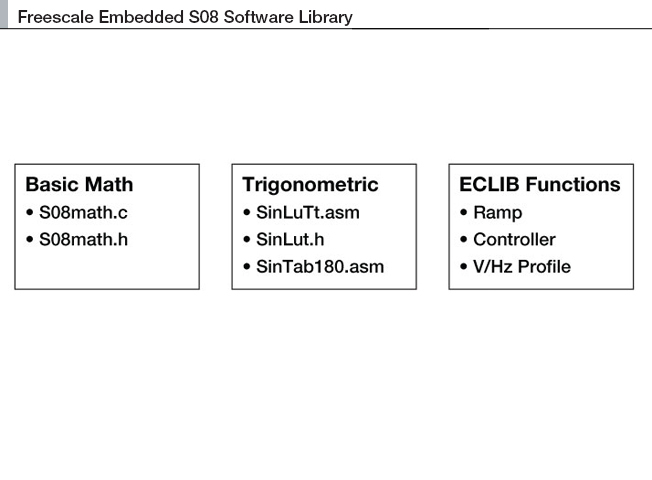 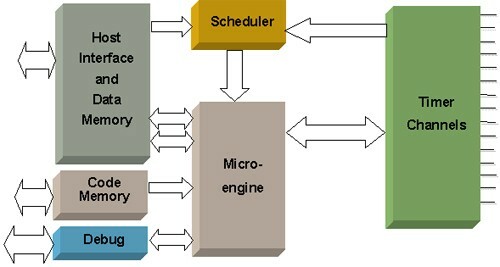 The Freescale Airbag Reference Platform is an airbag electronic control unit implementation example for the growing automotive safety segment. 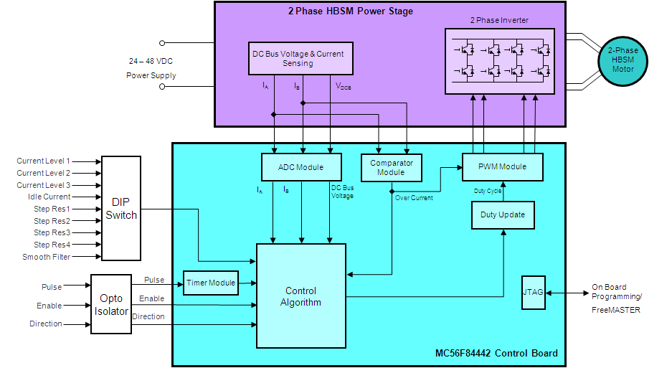 This reference design is based on 32-bit DSC MC56F82748, to demo a Totem-Pole Bridgeless PFC Converter. 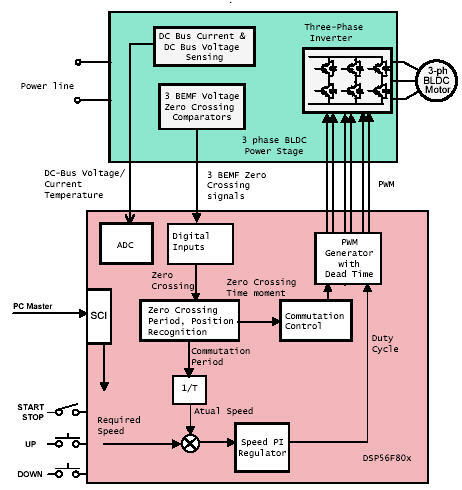 This reference design describes the design of a 3-phase BLDC (Brushless DC) motor drive, which supports the Freescale 56F80X and 56F83XX DSCs. 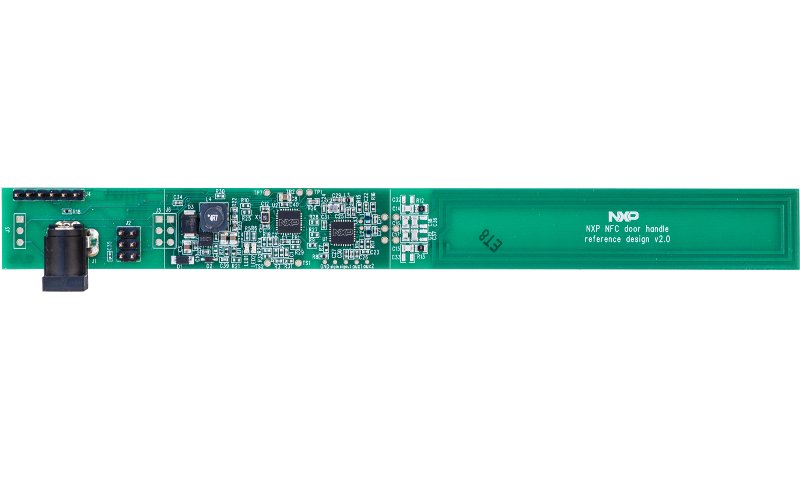 The NXP MK30X single-phase electricity meter reference design provides a high-performance solution for power measurement in residential metering. 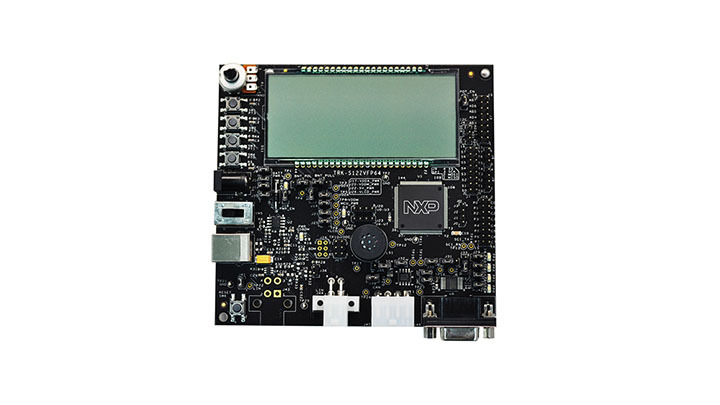 The TWR-MCF51AG-KIT is a development tool for the MCF51AG128 microcontroller. 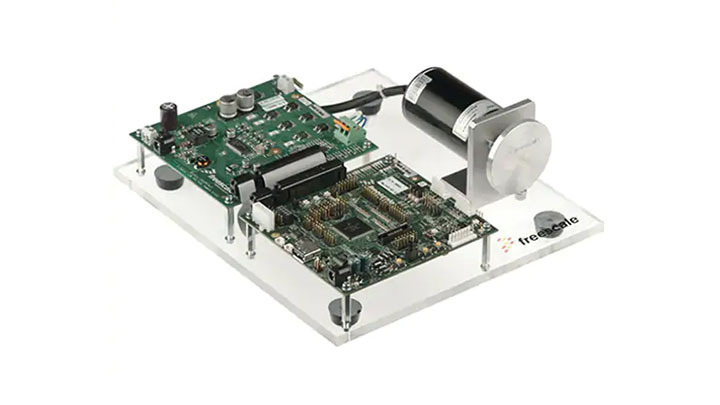 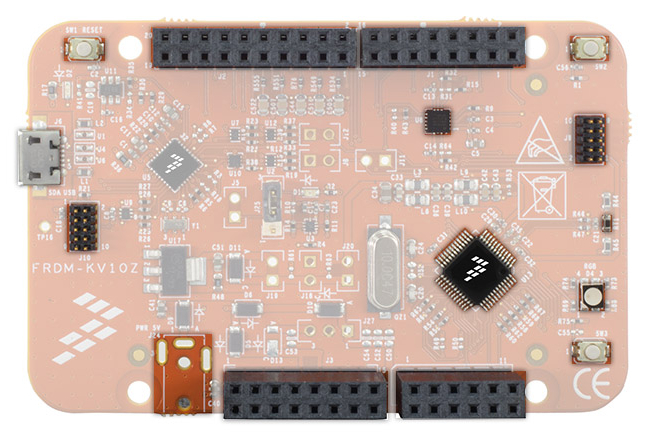 This kit is part of the Freescale Tower System, a modular, reconfigurable development platform that allows designers to get to market faster with packaged evaluation boards, tools and runtime software. 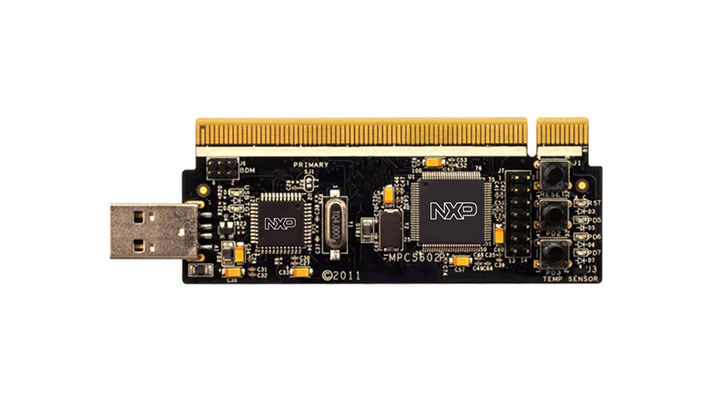 The NXP MTRCKTSPS5604P development kit is ideal for applications requiring one PMSM motor, such as active suspension or electric powertrain. 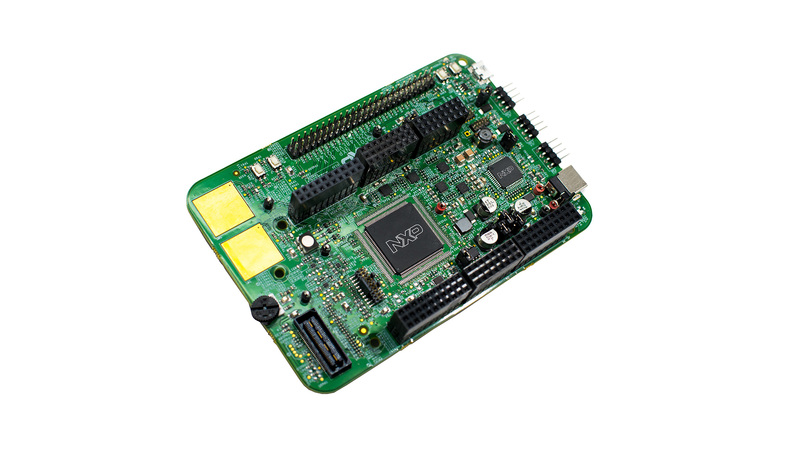 The TWR-KV31F120M is a development tool for the Kinetis® V series KV3x family built on the Arm® Cortex®-M4 processor. 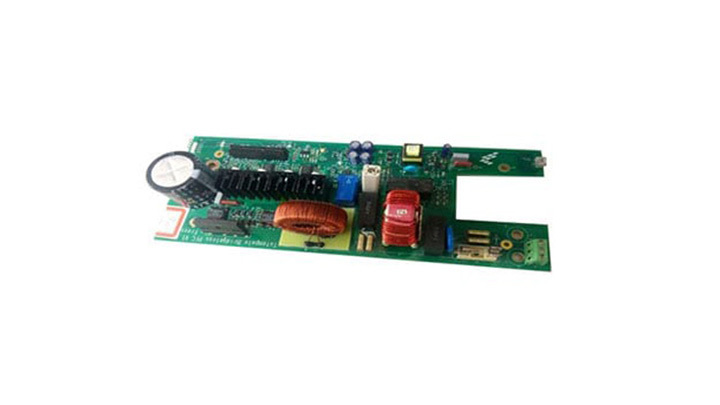 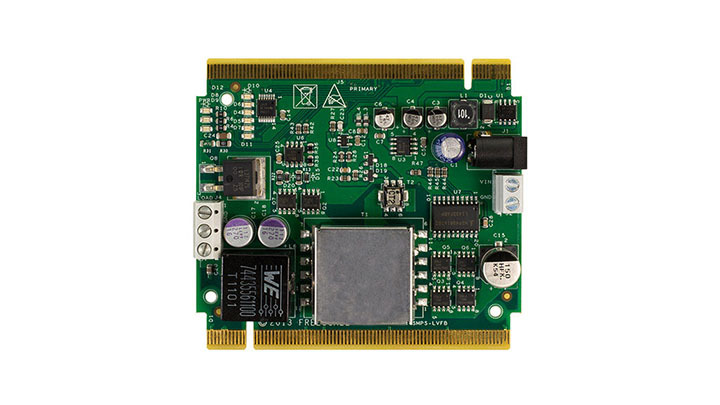 S12ZVFP64 MagniV® microcontroller evaluation board for HVAC Applications. MTRCKTSBN5643L: Single 3-phase Sensorless BLDC Development Kit with Qorivva MPC5643L MCU. 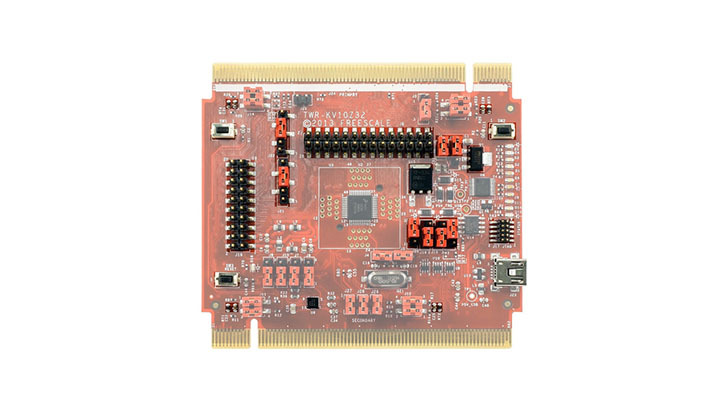 The FRDM-KV10Z is a low-cost development tool for the Kinetis® V series KV1x MCU family built on the Arm® Cortex®-M0+ processor. 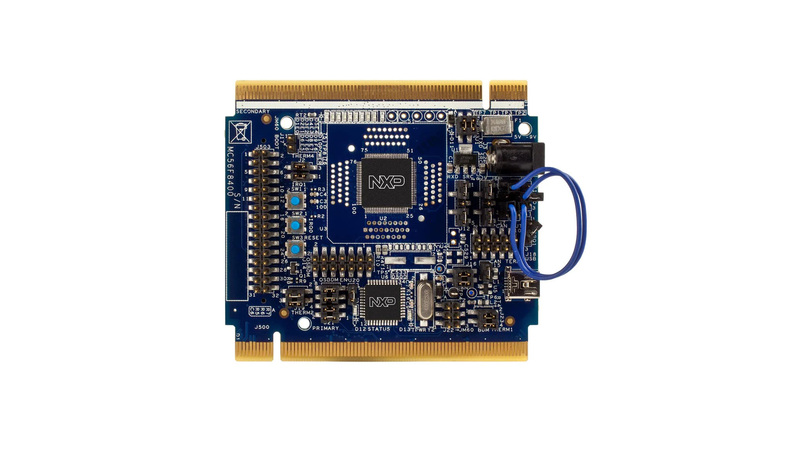 The FRDM-KV10Z hardware is form-factor compatible with the Arduino™ R3 pin layout, providing a broad range of expansion board options. 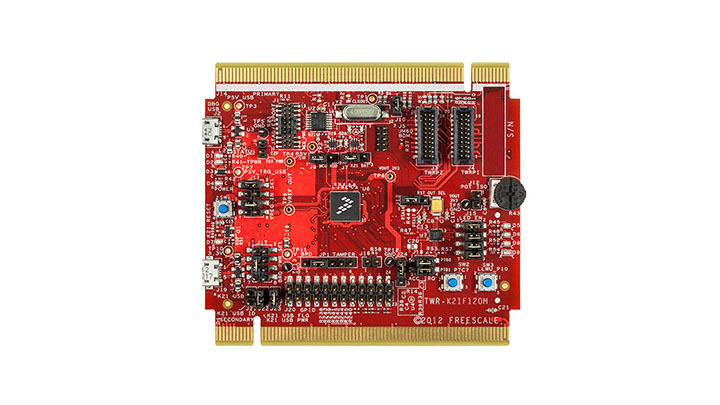 The Freescale StarterTRAK USB kit (TRK-USB-MPC5602P) is designed for you to easily and inexpensively give the Freescale 32-bit MPC5xxx MCUs a test drive. 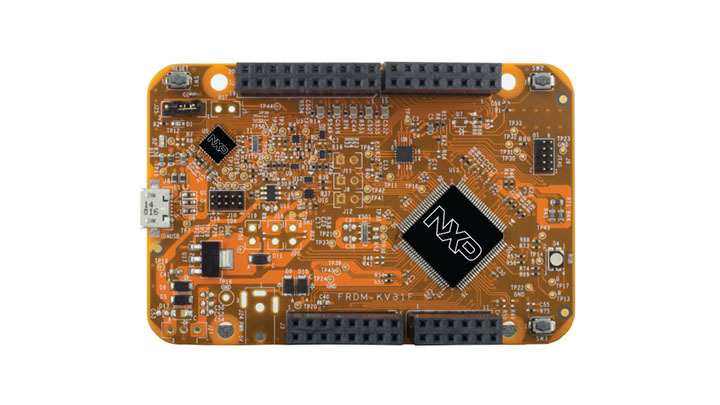 The NXP MTRCKTSPS5643L development kit is ideal for applications requiring one PMSM motor, such as active suspension or electric powertrain. 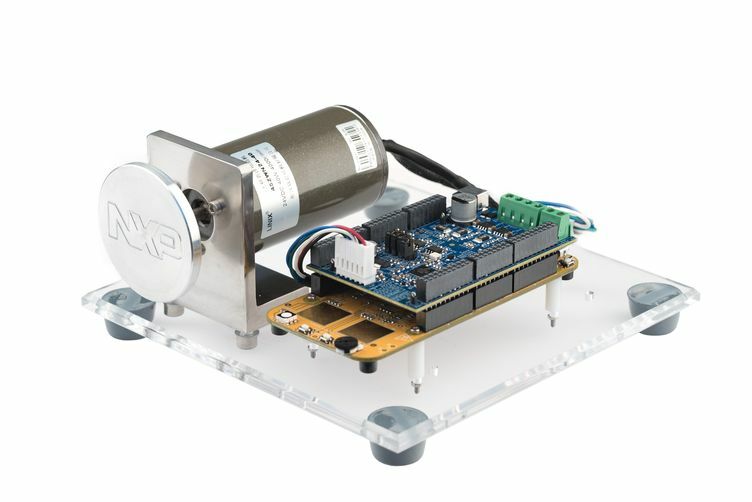 The MTRDEVKSPNK144 is a development kit engineered for 3-phase control applications requiring one Permanent Magnet Synchronous Motor (PMSM). 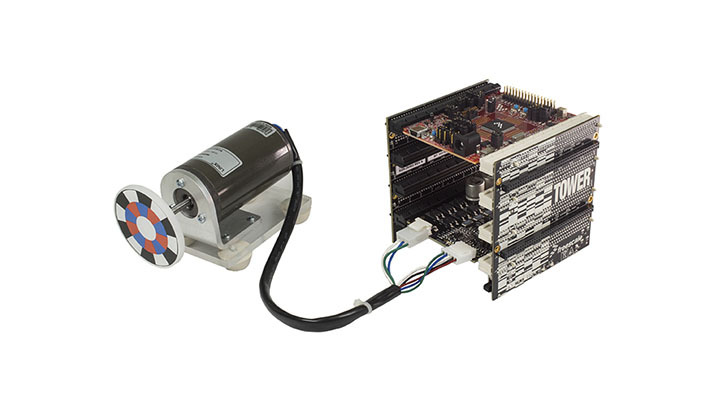 The MTRCKTSBN5606B motor control development kit is ideal for sensorless applications requiring one BLDC motor, like HVAC or electric pumps. 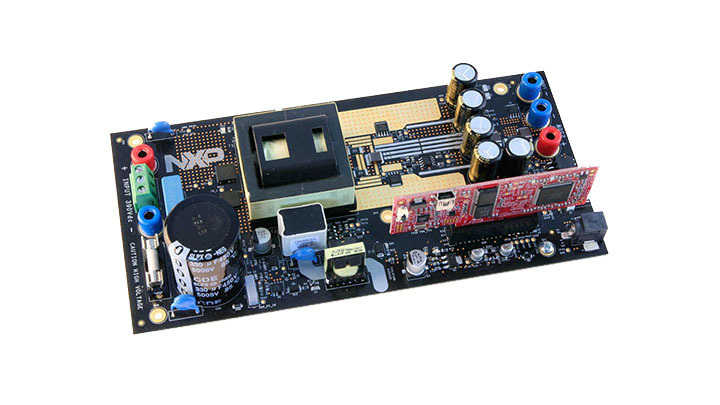 The NXP MTRCKTSBNZVM128 motor control development kit is ideal for sensorless and Hall sensor-based applications requiring control of one BLDC motor. 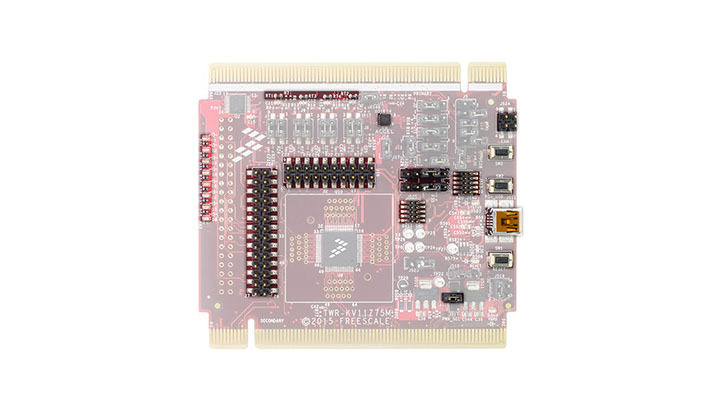 The FRDM-KV31F is a low-cost development tool for the Kinetis® V series KV3x MCU family built on the Arm® Cortex®-M4 processor. 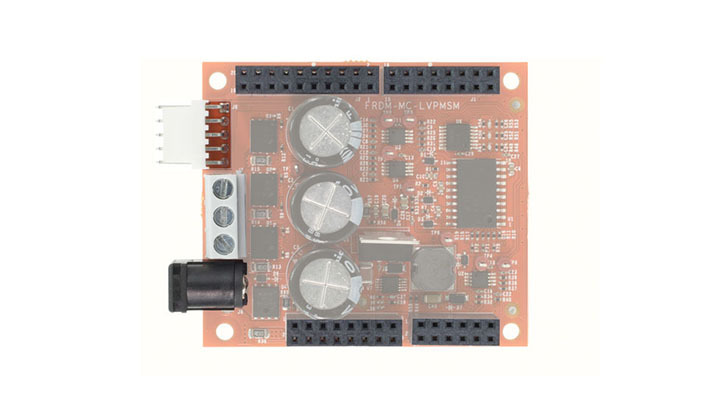 The FRDM-KV31F hardware is form-factor compatible with the Arduino™ R3 pin layout, providing a broad range of expansion board options. 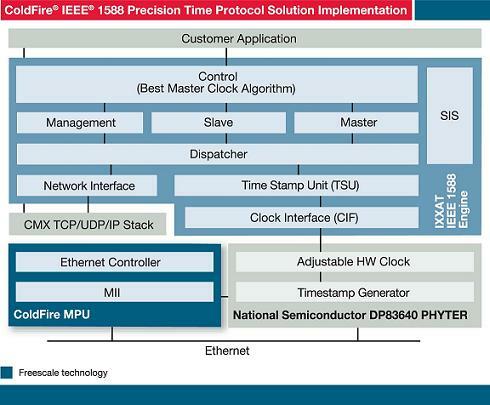 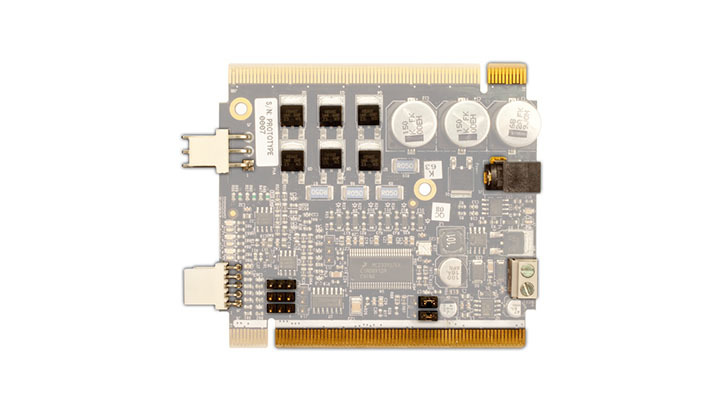 The Freescale eTPU is a programmable I/O controller with its own core and memory system, allowing it to perform complex functions independently of the CPU. 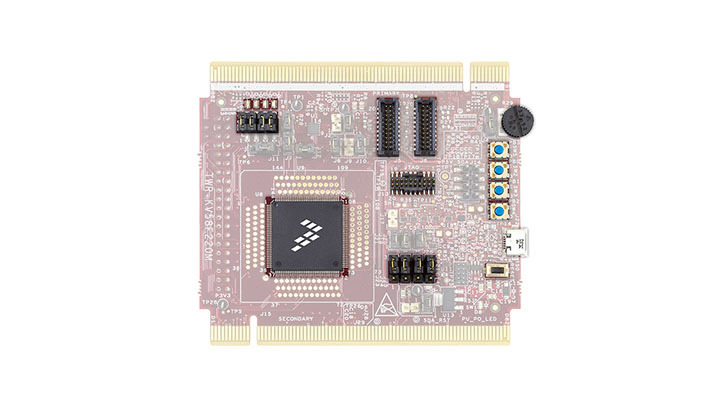 StarterTRAK is a low-cost development kit based on Kinetis® EA series MCUs that enables rapid prototyping and tool reuse. 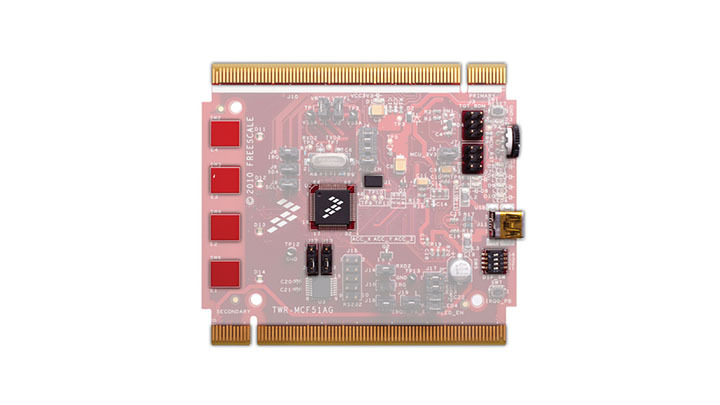 The TWR-KV46F150M is a development tool for the Freescale Kinetis V series KV4x MCU family built on the Arm® Cortex®-M4 processor. 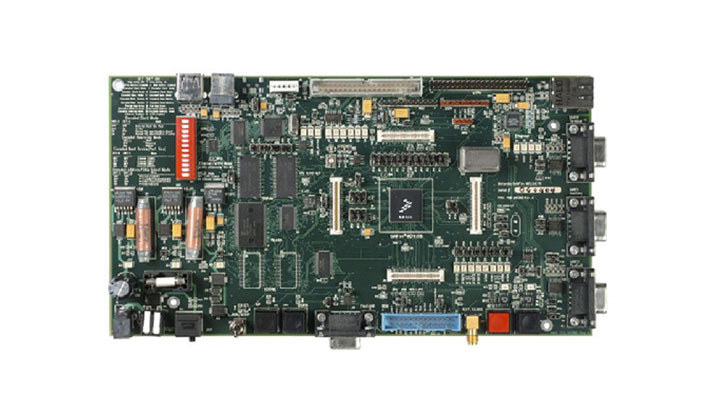 The M523xEVB evaluation board is intended to provide a mechanism for easy evaluation of the Freescale MCF523x family of ColdFire microprocessors. 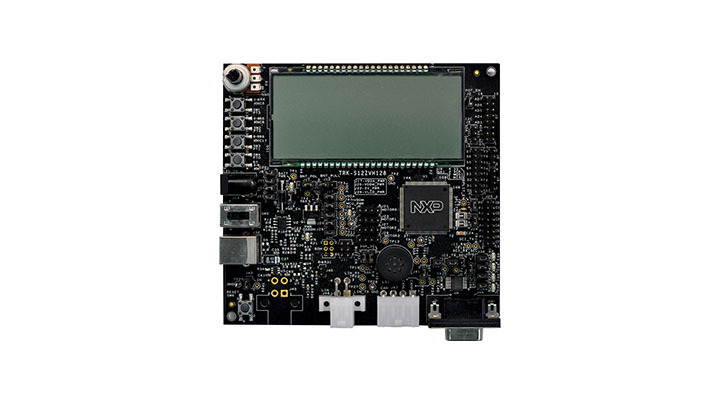 The TWR-K21F120MA is a development board for the NXP Kinetis K21 and K22 120 MHz 32-bit Arm® Cortex®-M4 MCUs with floating point unit. 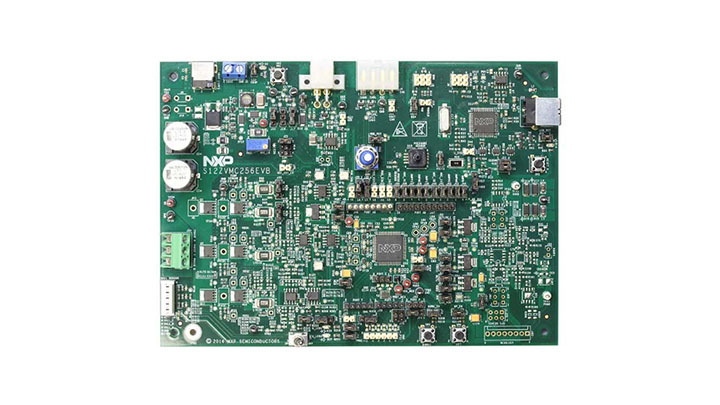 S12ZVHY64 MagniV® microcontroller evaluation board for Motorcycle Information Cluster Applications. 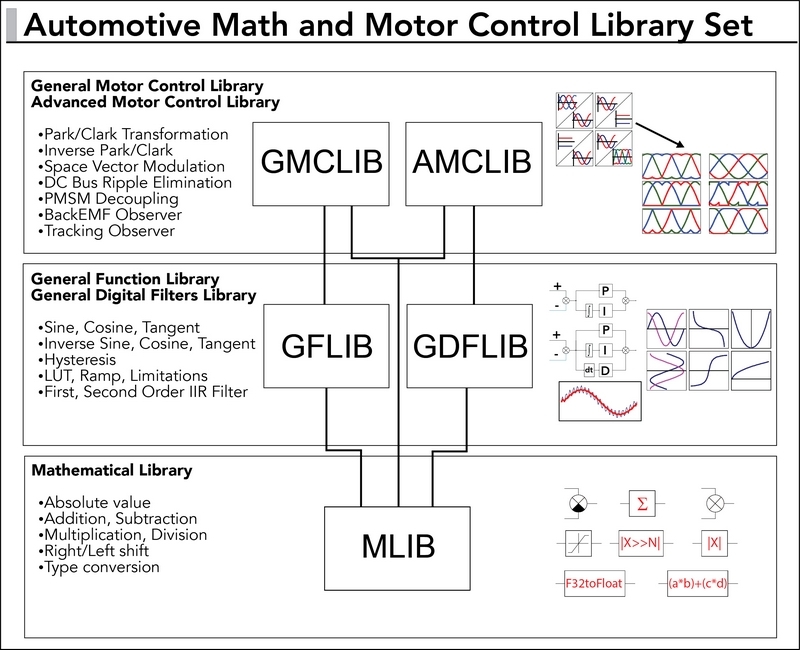 Evaluation board for automotive motor control applications. 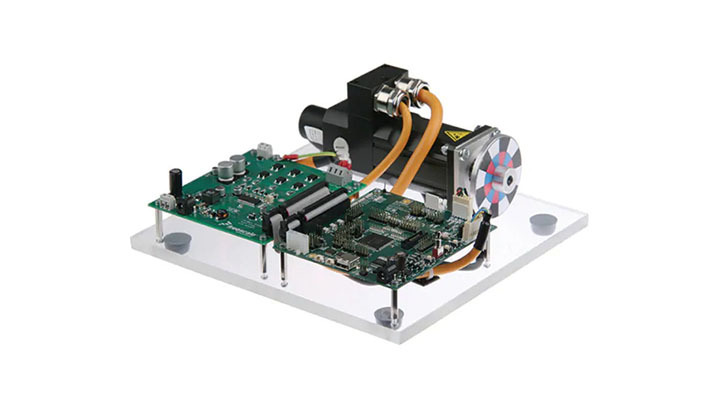 Ideal for BLDC and PMSM motors allowing a rapid prorotyping and evaluation. 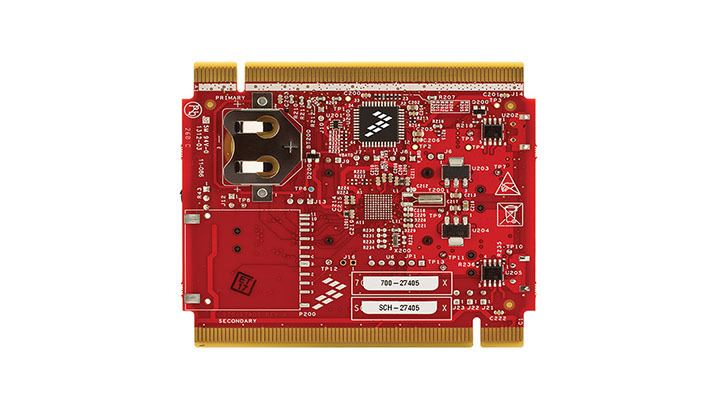 Covering S12ZVMC256 MagniV products. 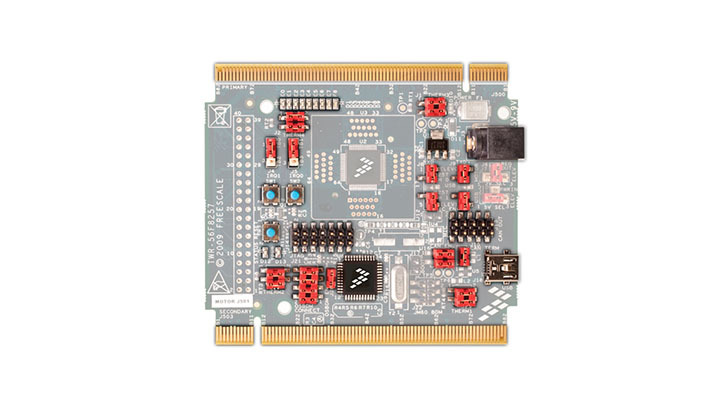 The TRK-S12ZVH128 is a development board for the NXP® MagniV® S12ZVH family of 16-bit MCUs targeted for automotive instrument cluster applications. 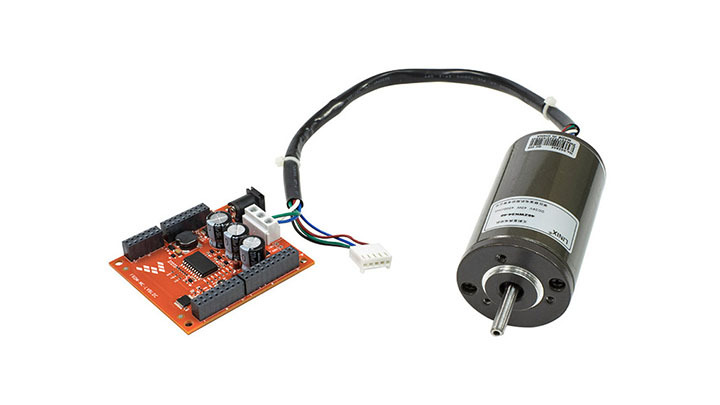 The MTRCKTSBN5604P motor control development kit is ideal for sensorless applications requiring one BLDC motor, such as HVAC or electric pumps. 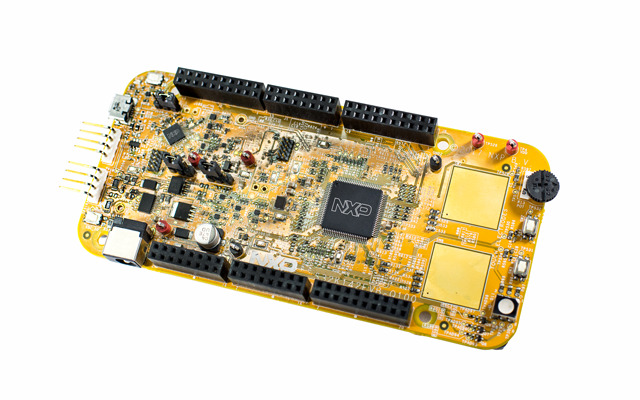 The TWR-KV10Z32 is a development tool for the NXP Kinetis V series KV1x family built on the Arm® Cortex®-M0+ processor. 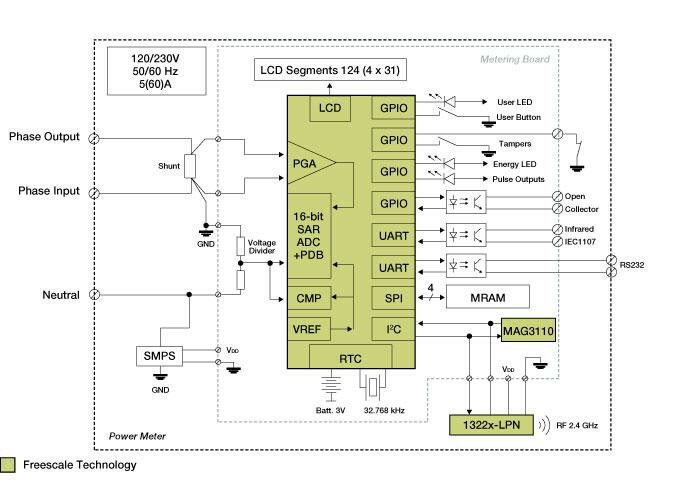 The Low-Voltage Full-Bridge DC-DC Switch Mode Power Supply Tower board (TWR-SMPS-LVFB) is a peripheral Tower System Module used as a development platform that enables rapid prototyping of various power-control topologies using Freescale MCUs. The TWR-K21D50M module is the development board for the Freescale Kinetis K11, K12, K21 and K22 50 MHz 32-bit ARM Cortex-M4 MCUs. 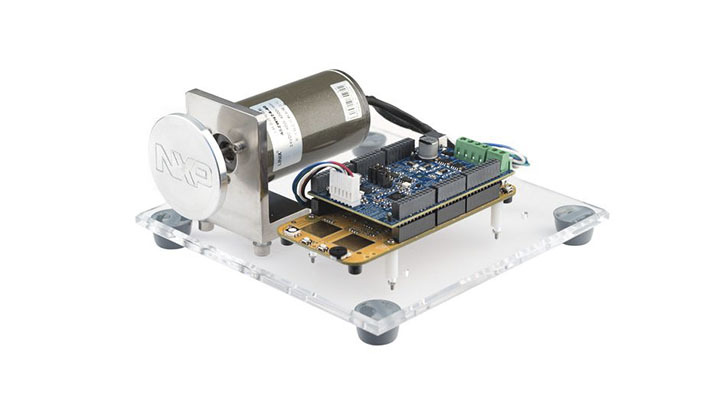 The NXP MTRCKTDBN5643L motor control development kit is ideal for sensorless applications requiring two BLDC motors, like HVAC or electric pumps. 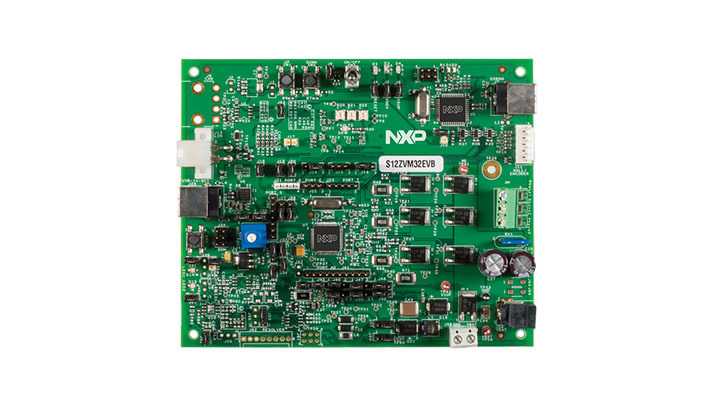 The NXP MTRCKTDPS5643L development kit is ideal for applications requiring 2 PMSM motors, such as active suspension or electric powertrain. 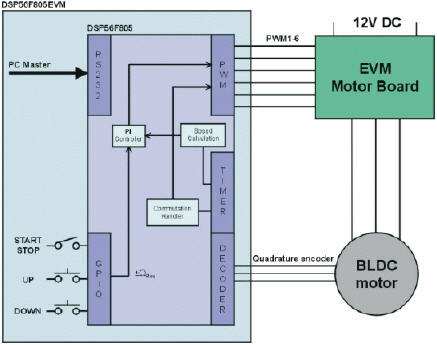 The Freescale 3-Phase BLDC/PMSM Low-voltage motor control drive creates a single unit for developing BLDC/PMSM motor control applications. 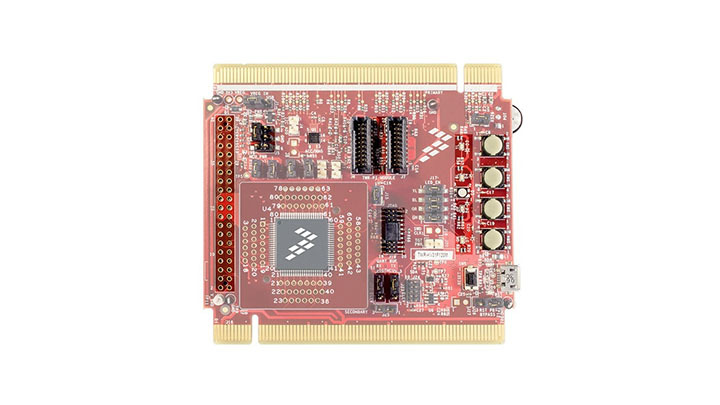 The S12ZVML12EVB & S12ZVMC12EVB are development board for the S12 MagniV® S12ZVM 16-bit MCUs targeted for 2-phase DC and 3-phase BLDC or PMSM motor control covering S12ZVML128/64/32 & S12ZVMC128/64 MagniV products. 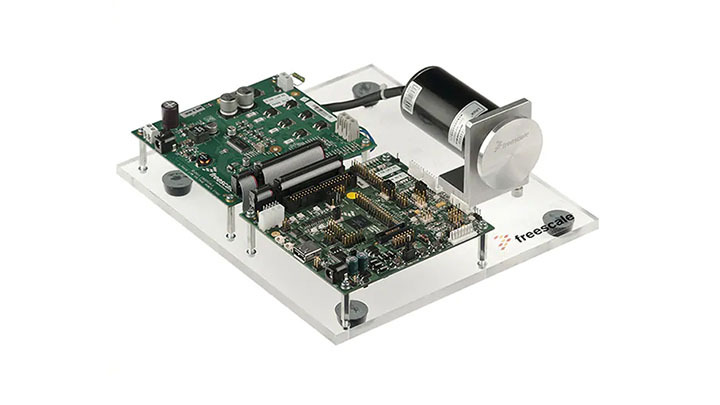 The Freescale TWR-56F8200 is a standalone development board ideal for motor and digital power control applications. 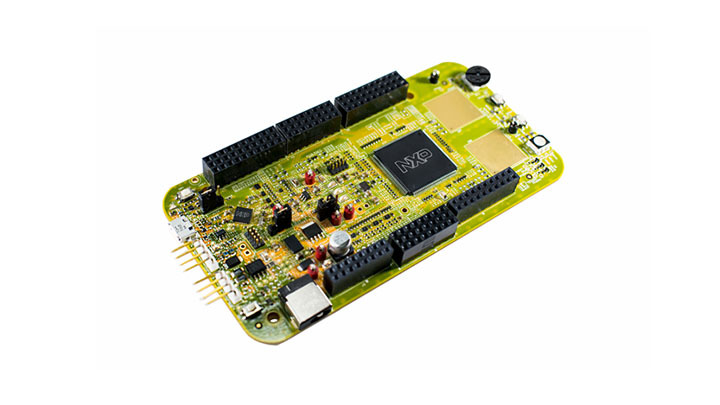 StarterTRAK is a low-cost development kit based on the Kinetis® EA series MCU that enables rapid prototyping and tool reuse. 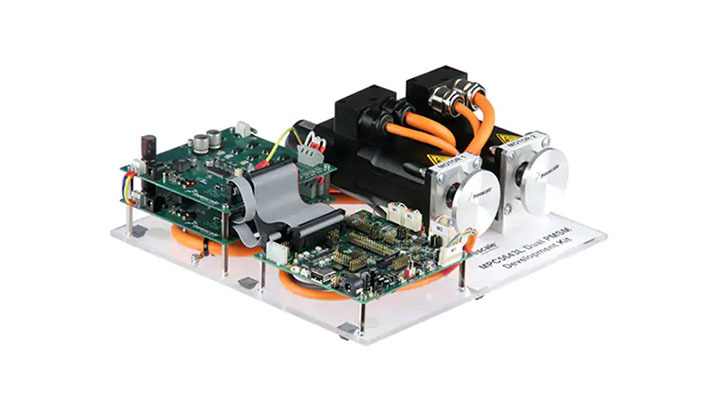 The S12ZVM family combines all the elements needed to build a very compact and power efficient 3-phase PMSM (or BLDC) motor control. 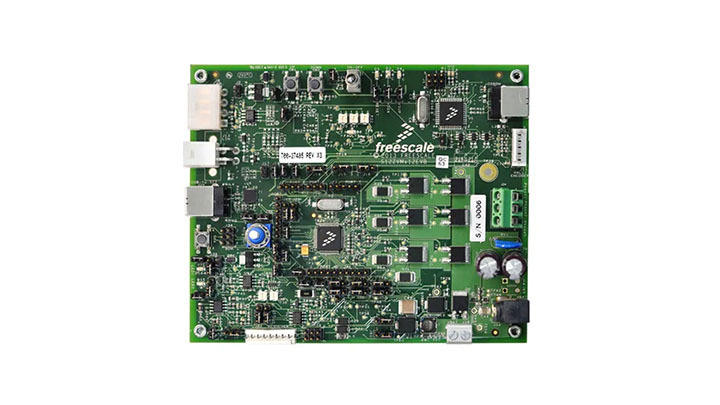 The TWR-56F8257 module is a demonstration and development tool for the Freescale MC56F8257 DSCs. 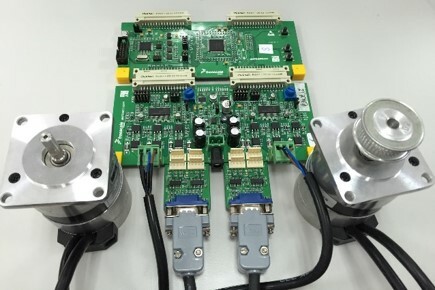 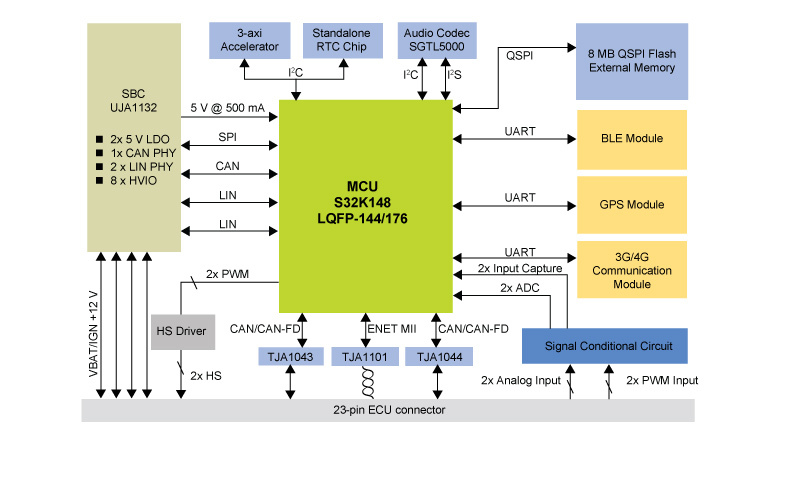 The MTRCKTSPS5744P development kit demonstrates the advantages of the NXP MPC5744P MCU for motor control applications with a 3-phase PMSM and resolver. 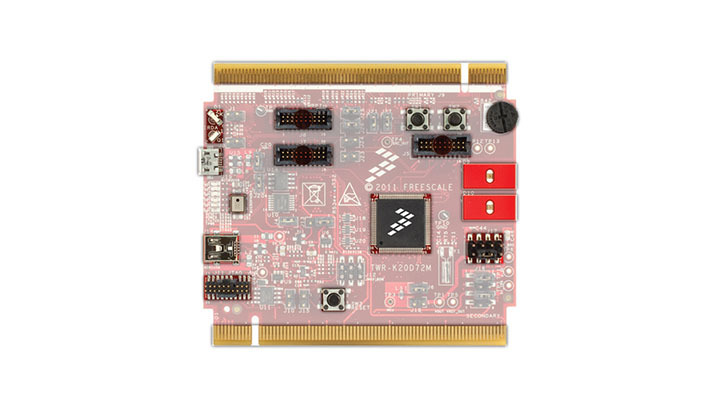 StarterTRAK is a low-cost development kit based on the Kinetis® EA series MCUs that enable rapid prototyping and tool reuse. 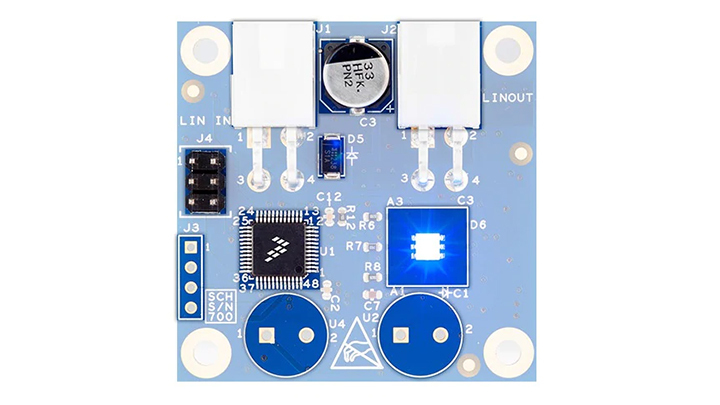 The Freescale K20D72M Tower MCU Module is a low-cost evaluation, demonstration and development board for the Kinetis K20 72 MHz low-power MCU.